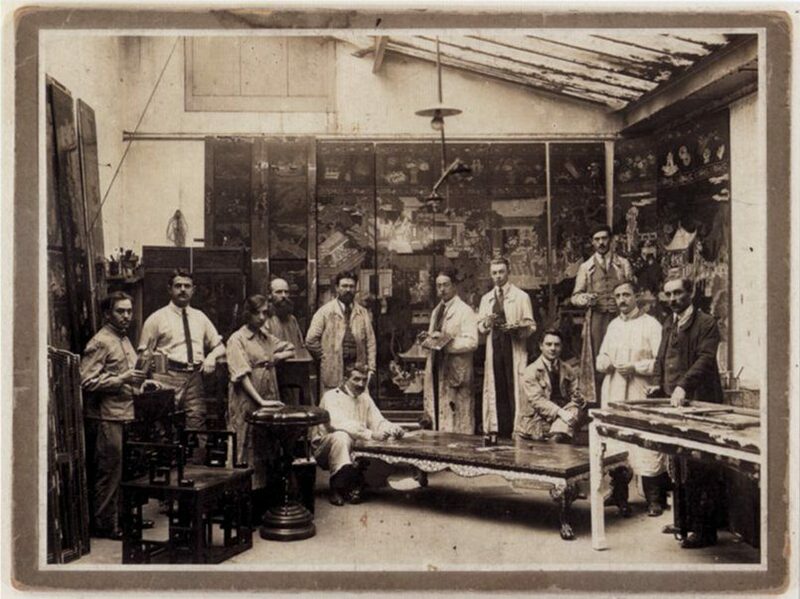 ATELIERS BRUGIER, specialized in all fields of lacquer was founded in the twenties by André Brugier. In 1987, his daughter, Nicole takes over the responsability of these Ateliers, then in 2009, her son François Judet becomes the manager of the company. It is now the third generation to run the Ateliers. Since then, the Ateliers are still settled in Paris, at the end of a nice courtyard of the 7th arrondissement. Our firm practices three distinct and complementary trades : antique dealer, restorer and lacquerer. such as cabinets, chests and panels. We are the most famous for Coromandel screens. We keep on enriching regularly this collection. 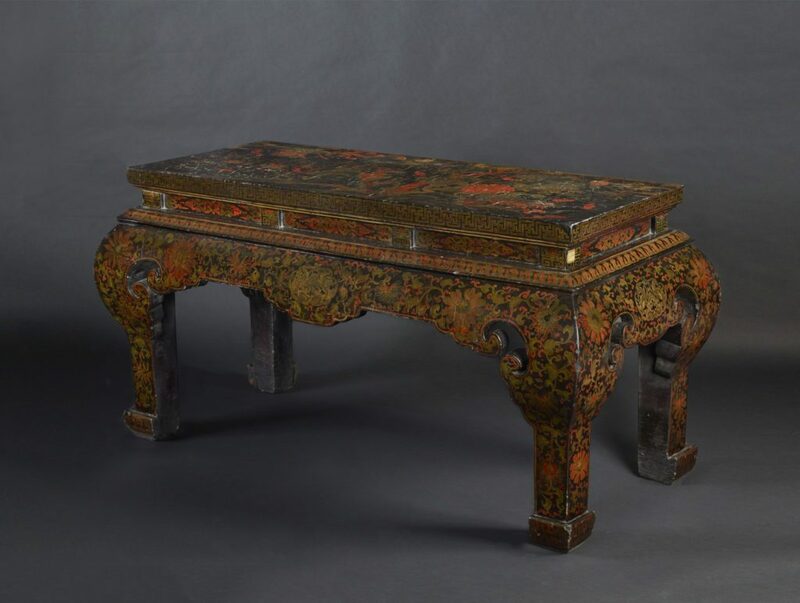 The prestigious restorations of lacquer furniture for the Louvre Museum, the Guimet museum and for Versailles helped us tremendously to consolidate our reputation of skill and expertise. Among those pieces can be noted king Louis XV’s chest of drawers, delivered by the famous cabinetmaker Gaudreaus for his castle in Choisy in 1744. The ancient panels provide invaluable documents for restoration. Also they can be used to make, on order, luxurious pieces of furniture (coffee tables, consoles, cabinets …). We have worked with artists and contemporary designers to create unique pieces. Our knowledge and our lacquering expertise lead famous interior designers to request our services for pieces of decoration and mural panels. This material reveals its extraordinary depth and preciousness. Our companions are constantly studying for new textures and decorative effects able to bring new ideas.